Looking for private in-home or in-studio Trombone lessons? Our Bixby teachers are ready to get you started. Find your teacher today! As a professional brass musician, I have been teaching brass instruments for over thirteen years. I have taught online lessons for over four years and have used multiple online communication platforms to teach effective lessons. My students truly enjoy online interaction during their lessons. I'm a very flexible teacher. Whatever you feel that you need to work on, we will work on. Currently, I am taking lessons from Steve Turre at Juilliard. He has performed with many jazz greats including Dizzy Gillespie, Woody Shaw, Rahsaan Roland Kirk, and J.J. Johnson. If you're interested, I wouldn't mind teaching you some of the things I am learning here at Juilliard. Hi there! I am a 22-year-old trombonist and singer from New Orleans, LA. I graduated from The Juilliard School with my Bachelor's in Jazz Studies in May 2018, and I am returning to Juilliard to pursue my Master's. You can catch me working a LOT in the NY area as both a sideman and a leader of my own quintet. I also play euphonium, tuba and some piano. I've performed/recorded with Wynton Marsalis, Delfeayo Marsalis, Ellis Marsalis, Mac Miller, John Legend, Solange, Jon Batiste, and more. I have studied privately/have great relationships with world-renowned trombonists such as Steve Turre, Joe Alessi, Elliot Mason, Delfeayo Marsalis and Wycliffe Gordon. I would be more than happy to share with you what I have learned (and continue to learn) from such amazing players. ll I ask is that you be honest with me as well as yourself. I love to learn equally as much as I love to teach, so book a lesson! (Ask about my group lesson rates, those are always a lot of fun too!) Let's learn from each other! Jeffery is able to provide an excellent perspective on what it takes to perform in an organic and musical way in front of large crowds, as he has a ton of experience doing so. I highly recommend taking lessons from Jeffery, it is a wonderful experience. Great guy very smart very helpful excited to learn more! Jeffery breaks down the basics of Classical and Jazz Theory and gives you methods to master new concepts and directly apply them to improvisation and composition. As a performer with the Southern Indiana Wind Ensemble, Indianapolis Wind Symphony, and the Indiana University Symphonic Band, I have extensive performance experience as an ensemble player and as a soloist. 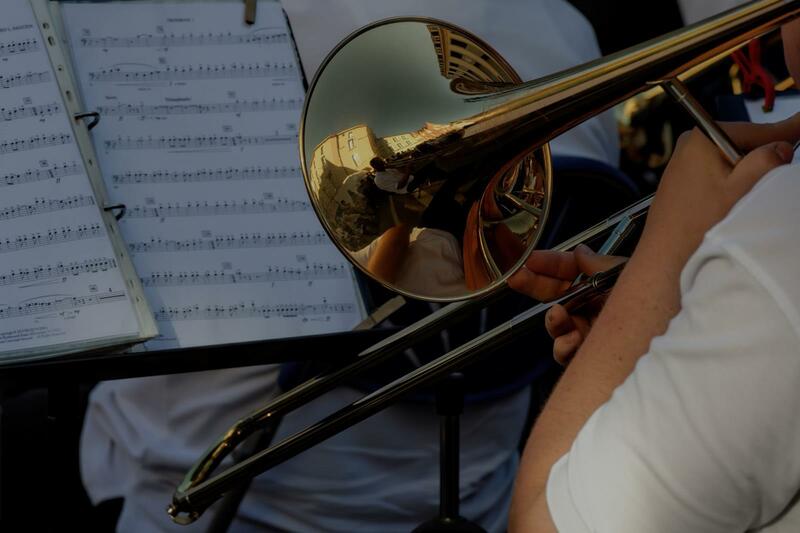 I am familiar with the common repertoire of trombone music/etudes, and can assist students with anything from supplemental lessons to their curricular music program all the way to college audition prep. "Carl is kind, smart, and SUPER COOL!